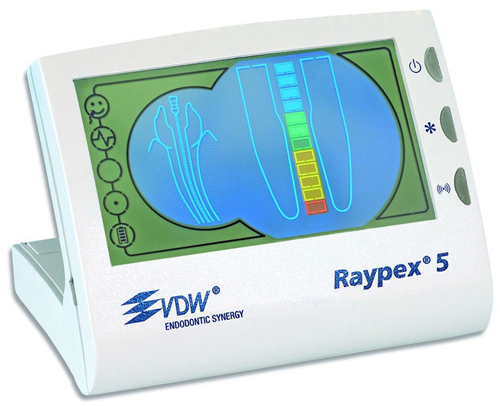 Portable microcomputer controlled apex locator RAYPEX 4 is a modern device for precise root canal apex localization during root canal treatment. Made by German company VDW, this is one of the newest devices for high-tech Root Canal Therapy and it is used to measure the working root length. Along with our high-tech microscopes in both our studios, this will enhance our treatment quality.